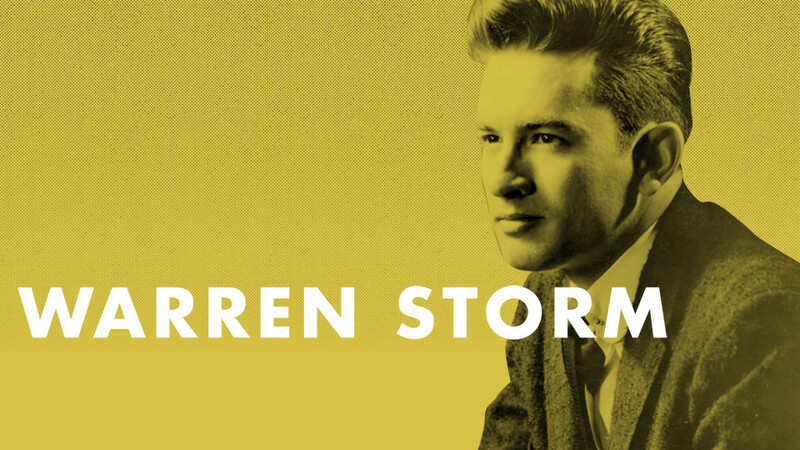 Listen to Warren Storm on Prisoner's Song and Mama, Mama, Mama. The Godfather of swamp pop, Warren Storm grew up in a Cajun household (he spoke only French until the third grade!) surrounded by music. His father and Abbeville, Louisiana, native, was a drummer, fiddler, and accordian player who indoctrinated then-12 year old Warren Schexnider(his birth name) into the biz with an impromptu Rayne-Bo Ramblers gig. By age 15, Warren was playing drums with Larry Brasso's Rhythm-aires; then, after a stint with Herb Landry's R&B based Serenaders, Warren fell under the influence of Fats Domino's drummer Charlie "Hungry" Williams. Enlightened, Warren soon formed his own Domino-influenced We-Wows, followed by the Jive Masters. Warren was soon known as the top session drummer in the area, but those local accolades were not enough: Just after graduation from Abbeville High School, Warren signed a contract with local impressario J.D. Miller and became a singer, too. His first record, released under the monkier Warren Storm (Schexnider was too long to fit on a 45 label, Warren declared), 1958's "The Prisoner's Song" b/w "Mama, Mama, Mama" sold a quarter of a million copies. After a national tour promoting "The Prisoner's Song", Storm returned to South Louisiana to form the Wanderers before joining Rod Bernard and Skip Stewart's Shondells in time for their hit record "This Should Go On Forever," and releasing a handful of his own 45s, including "So Long, So Long (Goodbye, Goodbye)" and "Birmingham Bar". Later gigs with the Bad Weather Band ("Lord, I Need Somebody Bad Tonight") and Cypress (which yielded the Huey-Meaux-produced "Things Have Gone To Pieces") led to Storm's induction into both Louisiana and Texas' Music Hall of Fame. As the drummer for the all-star Tip On In Revue, Warren Storm currently plays more than 200 nights a year.